Jio Phone Killer? 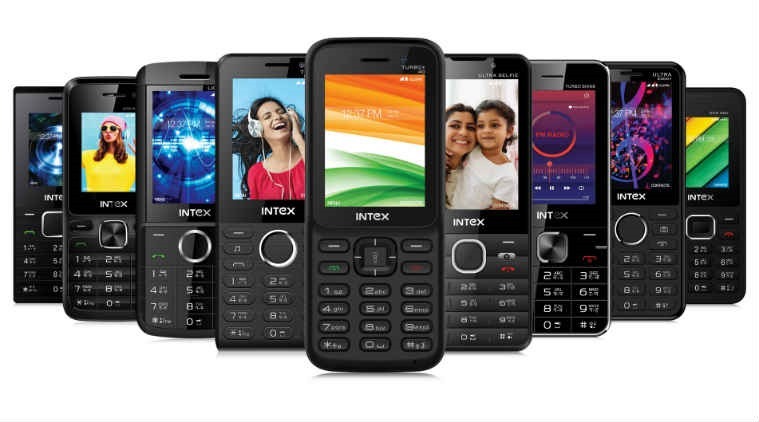 Intex Launches 4G VoLTE Smart Feature Phones starting at Rs. 700/-. It is the battle of the light-weights for maximum proliferation! India’s own mobile manufacturer Intex has launched their first 4G Volte Feature Phone, or as they like to call it, a Smart Feature Phone. The first phone of the Smart Feature Phone Series, known as the Navratna Series, is the Intex Turbo+ 4G. The Navratna series from Intex will include one 4G VoLTE model phone, and other eight 2G models in the price range of Rs. 700/- to Rs. 1500/-. The new Intex 4G VoLTE Smart Feature Phones will provide high voice call quality and seamless browsing experience. Being the first Smart Feature Phone from Intex, the Turbo+ 4G will come with a number of interesting features. The ECO models of the Navratna series will come equipped with a 1.8-inch QVGA display. The ECO 102 packs in a 800mAh battery, a wireless FM and a rear camera. The ECO 106 Plus will carry a 1000mAh battery, wireless FM and a memory card slot up to 32GB. Both will have a Phonebook memory of 500 contacts. The ECO Selfie will come with dual cameras (front and rear) plus a flash, and will support 22 Indian regional languages with GPRS and WAP facility for Internet. It will come with an 1800mAh battery, and 1500 contacts phonebook memory. The Ultra models in this series will include Ultra 2400 Plus and Ultra Selfie. The Ultra 2400 Plus will come with a huge 2400mAh battery, a 2.4 inch display with rear camera and flash, with a Phonebook storage capacity of 2000 contacts and memory card slot expandable upto 64GB. The Ultra Selfie will get a bigger 2.8 inch screen with dual cameras and will pack in a huge 3000mAh battery. Since the Intex Turbo+ 4G will directly face off with the Jio phone, it is necessary for prospective buyers to know the differences, or similarities, between these two to make an informed decision. What do you think? Let us know in the comments below. "Jio Phone Killer? Intex Launches 4G VoLTE Smart Feature Phones starting at Rs. 700/-. ", 5 out of 5 based on 64 ratings. Facebook Panics and Shuts Down Experiment After AI Bots Create Their Own Language for Chatting. Was This an AI Uprising?